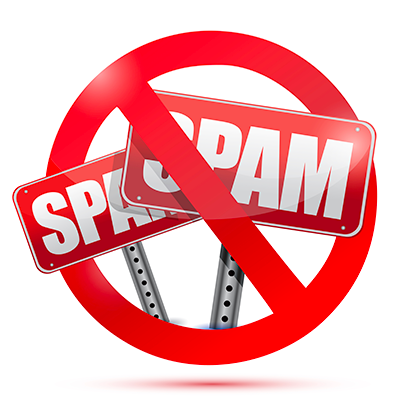 Let’s face it, finding a way to reach interested prospects via email is difficult. But with a few pointers it could get so much more effective. Below we have gathered some tips that our clients and ourselves have found very successful. Avoid colors in the email. Avoid using more than one link. Don’t attach anything to the email. This is the first thing that the recipient will see, and is thus one of the more important things in order go have prospects open and respond to your email. A classic subject is to have their company name and yours in the subject. In Qualifier.ai, you can automatically set the parameter [company] in order for it to auto populate the prospect's company in the subject line. "[firstname], time for a call next Tuesday?" Crucial to keep things simple and short here. Research have shown that three paragraphs is the perfect length for somebody to get a grasp on what you can help with, and what next steps would be. DON’T write block of texts or have any weird spacing. Since you only have three paragraphs to convey your message, you really have to think about the content. Don’t waste it on writing "Hi, my name is X and I work for Y". The prospects can already see that in your email-address so don’t take up valuable space with that. In fact, never write "Hi, my name is" anywhere unless the next words are "chika chika Slim Shady" and you’re about to go into a rap. You would also need to get the attention very early in the email. If you for example are selling an automation sales software (like we are) it might be good to open up the email with a question along the lines of: "What would your sales team do with 20 more hours per week"? In order to get the interest of the prospect. Another crucial factor is to be very clear on why you are contacting this person, and why you think this could be of interest for him and her. This will come increasingly more important under GDPR (more on that later) and will give the prospect some context to why you are e-mailing them. It is very important that the receiver doesn’t get confused what the next step should be. So always end the email with a question, in order to get the receiver something to answer. Common questions include asking for a quick phone call or meeting, or to start a free trial of the product. To give something to the prospects have been proven to be highly effective, as you are more likely to get a big "yes" after the clients first have given a "small" yes. On average, 80 % of the responses that have come from all of our users have come from the follow-up emails. So one of the best tips we can give is to use follow-ups. At Qualifier.ai we have up to three follow-ups and here is some best practice regarding the structure and content of each e-mail. As mentioned before: keep it short, explain why you think this could be interesting for this specific prospect, explain what you might be able to help with and have a call to action. Catch interest early. This email should be a quick follow-up email. Just writing something along the lines of: "Hi X, I just wondered if you’ve had the time to look at my previous message?" will do just fine here. No need to add any other factors to this email, save that for later. Try to structure it like the first email, but switch the value that is getting pitched. Try to find a new value for this pitch. If you pitched the time saving aspect on the first email, then try to pitch the team collaboration features on this one. Here, you should mention that this is the last email that you will send to the prospect and that you will leave her alone after this. Often, this will let the prospect let down her guard a little bit and will make her more likely to reply. A good trick here is to ask the prospect if there is anybody else in the company that this could fit better for, in case the reason for the prospect not responding is that she is not the right person at the company. That way, you could get a new (and better) person to contact as a last resort to get in touch with somebody at the company. As always, it is very important to iterate your sequences and change if the response rate is too low. A great way to do this is A/B testing, which is something we at Qualifier offer to our clients. You can easily start different sequences, and see which one converts the best right in our platform.